As I type this the south coast of England is being battered by St Jude’s Storm and it looks as if we’re getting an expected lashing from the tail-end. What started out as a crisp, clear day has turned into torrential rain showers coupled with 30 mile an hour winds. There’s a pretty good chance that unless you’re going underground carpark to underground carpark you’re going to to be drenched, even if only for a minute. As a Belfast native, here are a few of my recommendations to ward of the weather. 1. 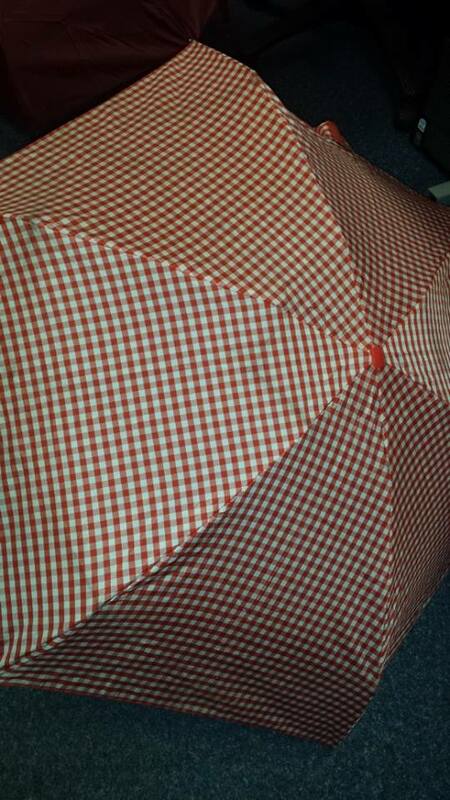 Invest in a wind-proof umberella. I know, I know. Umberellas in Belfast are about as good as a chocolate poker. I would have agreed with you, having left manys an umberella mangled and useless in the litter bins around the city but my sister bought me this. It doesn’t look like much, or indeed, anything at all. It looks like the typical ladies’ pocket sized umbrella you can get anywhere. However this one is by outdoor clothing company Tiso and was a Christmas present last year. It’s windproof and has survived a year in this city without so much as a bend spoke. Colour me sold on the whole wind-proof concept. Boots will keep your feet warm, particularly with a pair of thick socks underneath. More importantly, they’ll keep your feet dry. Even a decent pair of ankle boots will prevent that horrible, cold, flooding feeling you get around your feet when you step into a puddle. Or worse, when you step on one of those loose paving stones that sends a jet of icy cold water up your leg. Something like these should do the trick. 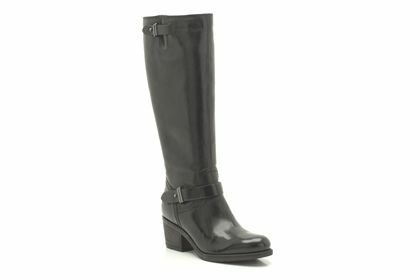 The are Mojita Crush knee high boots from Clarks. They are available in standard and wide fit and because they’re Clarks they will probably last into the next century. At £140 I’m really crushing on these…. get it? You can also wear them to just about any occaision. The wonderful thing about leather is that it’s waterproof. After 20 minutes at a bus stop a pair of wool gloves are going to be sodden and pretty uncomfortable. Leather gloves, even when unlined, are warm and safe enough to have a snowball fight with. 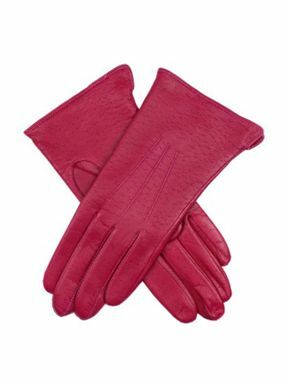 These are Dents ladies’ leather gloves from House of Fraser for £34. And they’re lovely. Only worse. And if you sit at a desk all day you’ll end up with very wet, very cold skin. Wear leggings, as skirt or trousers you can tuck in to your boots (see above). There are of course other things such as anoraks and ponchos but Belfast is a city where the rain dosen’t so much fall as slash you sideways. Hats are essentially redundant unless you see them flying down the street. I’m writing all this while contemplating my struggle to the bus stop, so good luck out there folks! Next Post A week of do-gooding.